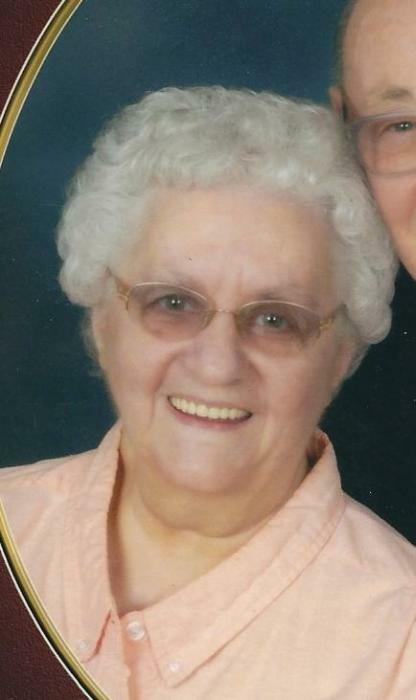 Age 83, of East Sparta, passed away Friday, March 29, 2019. She was born May 1, 1935 in Canton, a daughter of the late Carl and Ruth (Kienzle) Weber, and had been an East Sparta resident since 1956. Mabel was a 1953 graduate of Bolivar High School. She was a member of East Sparta United Methodist Church, and the Auxiliary of Isaac L. Kinney American Legion Post #244. Besides her parents she was preceded in death by a daughter, Cyndi Brown, on Sept. 9, 2018, and a brother, William Weber. She is survived by her husband, Eugene Merrick, with whom she would, have celebrated their 64th Wedding Anniversary on April 1st; three daughters and one son, Karen (Wayne) Rambaud, Valerie (Gary) Nolen, Stephanie (Charles) Mathews, and Gary (Janet) Merrick; a son-in-law, Don Brown, nine grandchildren, two step-grandchildren, five great-grandchildren, and three step-great-grandchildren. Services will be held Thursday at 11 a.m. in the Finefrock-Gordon Funeral Home in Magnolia with her friend, Pastor Sam Martin, officiating. Interment will be in East Sparta Cemetery. Friends may call Wednesday 5-8 p.m. Condolences may be sent to: www.gordonfuneralhomes.com.